Arvixe has hosting plans specifically tailored for personal or business websites. And, in addition to basic and pro levels of personal or business hosting plans, you can also choose between Linux and Windows hosting. Besides having a 60 money back guarantee, Arvixe also offers returning customer discounts. 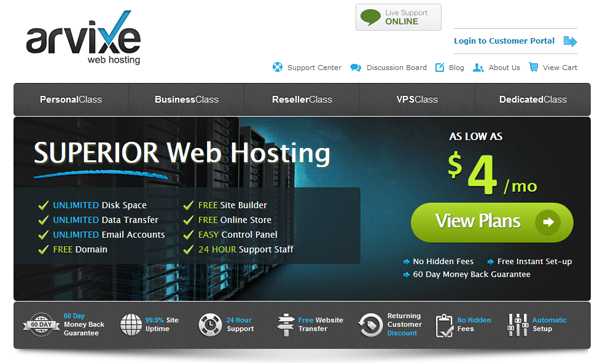 Arvixe hosting is nicely suited for both personal and business websites. However, they have eliminated some of the extra features that used to be included with their hosting plans.